We have developed a simple integration to connect Gravity Forms to FileMaker. With this integration you can easily connect forms to your FileMaker database so that when forms are submitted new line entries will show up in your FileMaker database. Forms can be individually mapped to different FileMaker databases and layouts. You can also create an opt-in condition for the entry to be submitted to FileMaker. For example if you don’t want people from the United Kingdom added to the database you can create an opt-in condition which only processes the feed if the country is not “United Kingdom”. Setting things up is easy. 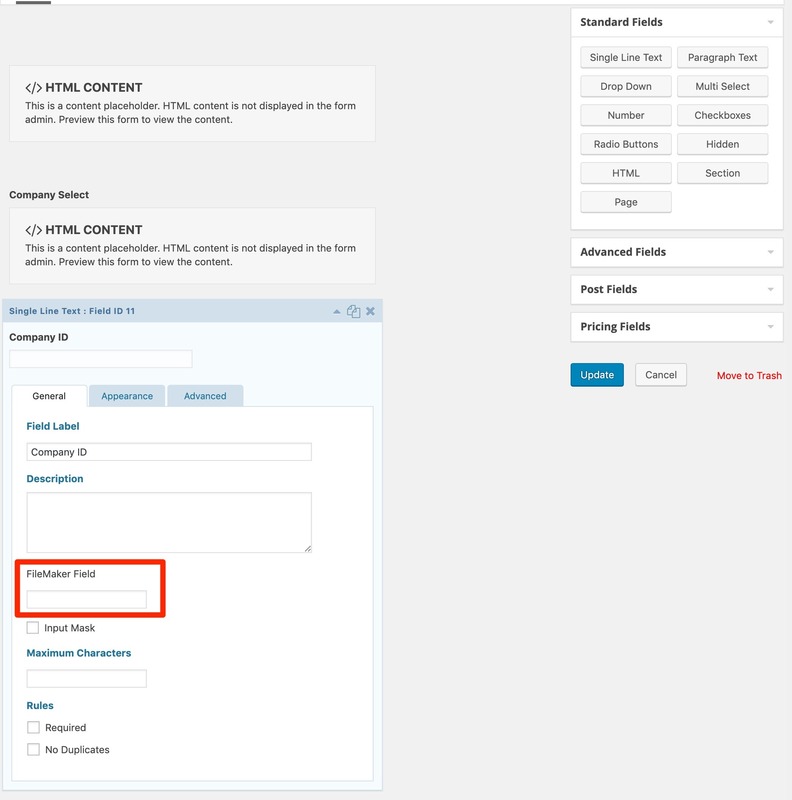 Once you have activated the plugin go to the main plugin settings as shown below (Forms > Settings > FileMaker Connector), and enter in your purchase email and order ID for updates and then enter in your FileMaker username, password and domain, like mydomain.fmphost.com. Now for each form you want to connect to FileMaker go to the Form Settings > FileMaker Connector and create a new feed item as shown below. Here you can type in the database name and layout and if you want to create a condition for the entry to be added to FileMaker. The final step is to map your Gravity Forms field to fields in your FileMaker database. On your form editor you will notice the new field “FileMaker Field” highlighted red below. Here you can enter in the name of the FileMaker field. If this is left blank the field won’t sync across to FileMaker. That’s it, a simple plugin but with powerful possibilities. A must-have connection at a good price! At just $99USD, the FileMaker to Gravity Forms Connector provides a simple WordPress Plugin that can quickly pay itself off in data entry time and it can help reduce errors. FileMaker to Gravity Forms Connector includes free updates for 1 year and the plugin can be renewed for continual updates if necessary. Gravity Forms, FileMaker and WordPress are separate products and not owned or managed by Northern Beaches Websites. 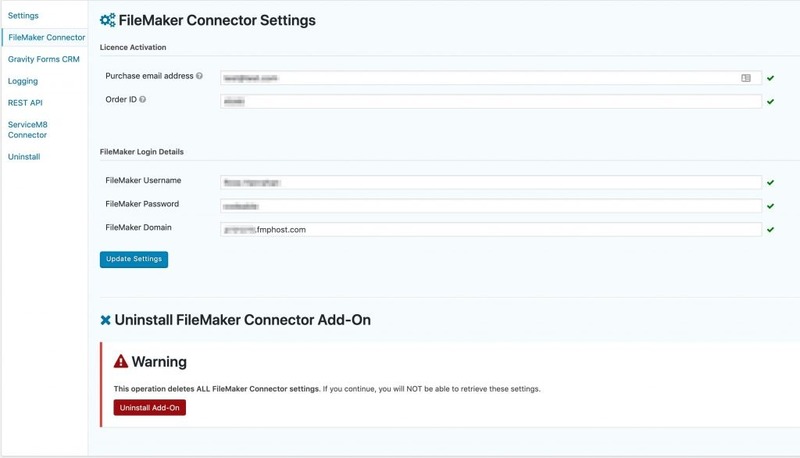 Please read the terms and conditions for FileMaker to Gravity Forms Connector here.